Airman 1st Class Elsie Delgadillo, 25th Operational Weather Squadron forecaster and Staff Sgt. Seth Reab, 355th Operations Support Squadron Survival, Evasion, Resistance and Escape, noncommissioned officer in charge, practice the Spontaneous Protection Enabling Accelerated Response System at Davis-Monthan Air Force Base, Ariz., Sept. 28, 2017. The SPEAR System takes advantage of the human body’s startle/flinch mechanism, enabling a user to counter an oncoming attack. For the first time since learning the course themselves, Survival, Evasion, Resistance and Escape specialists hosted a two-hour-long introductory course in the combative system of Spontaneous Protection Enabling Accelerated Response at Davis-Monthan Air Force Base, Ariz., Sept. 28. The SPEAR System takes advantage of the human body’s startle/flinch mechanism to convert an aggressor’s attack into a tactical counter. “If someone were to throw an object at your face, your natural reaction would be to protect it by throwing up your hands,” said Staff Sgt. Seth Reab, 355th Operations Support Squadron SERE noncommissioned officer in charge. Before taking part in the physical side of the course, attendees had a classroom session where they learned about the background and foundation of the SPEAR System. “You have to be mentally prepared to defend yourself,” said Airman 1st Class Elsie Delgadillo, 25th Operational Weather Squadron forecaster. While it is a form of combatives, the SPEAR System differs from many other fighting techniques because it relies heavily on mental strength, fortitude and resiliency. Staff Sgt. Seth Reab, 355th Operations Support Squadron Survival, Evasion, Resistance and Escape noncommissioned officer in charge and Airman 1st Class Ernest Moreno, 923rd Aircraft Maintenance Squadron HH-60G avionics specialist, execute a self-defense drill during a Spontaneous Protection Enabling Accelerated Response System course at Davis-Monthan Air Force Base, Ariz., Sept. 28, 2017. The SPEAR System is an effective method of personal defense focusing on survival reflexes which are activated in times of danger. “The SPEAR System teaches the mental side of fighting, which very few people talk about,” Reab said. The mental side of the fight in the SPEAR System harnesses the human body’s innate sense to detect and react to oncoming threats. This makes the SPEAR System easy to learn and teach; because it based around an instinctive survival response which all humans possess. “Basically you use that natural instinct that people have in the split second they’re frightened, and you turn it into a form of self-defense,” Reab said. Staff Sgt. Seth Reab, 355th Operations Support Squadron Survival, Evasion, Resistance and Escape noncommissioned officer in charge, teaches students how to evade a knife attack during a self-defense training class at Davis-Monthan Air Force Base, Ariz., Sept. 28, 2017. 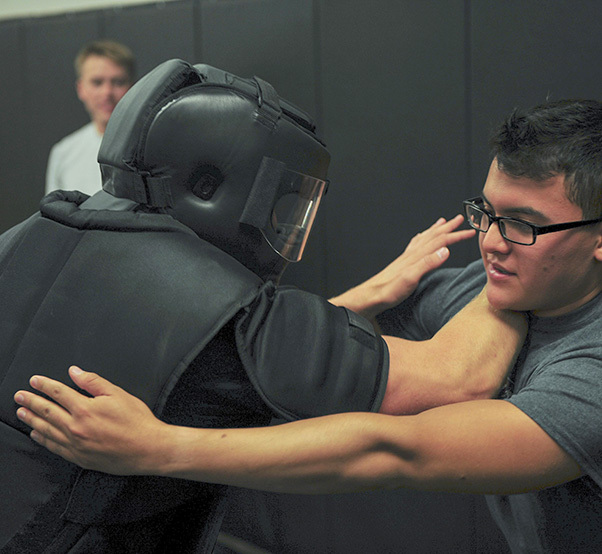 Students learned the fundamentals of the Spontaneous Protection Enabling Accelerated Response System, which is based on converting the aggressor’s attack into a tactical counter. SERE specialists teach many different forms of self-defense and combatives but they are primarily geared to specific dangers and hazards. 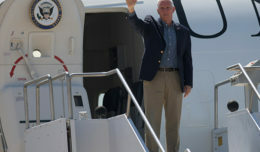 “They’re mainly aimed toward aircrew as an additional skill that they would use if they were in a hostage environment, or if they were taken captive by an enemy,” Reab said. The SPEAR System differs in that its skills are highly versatile and useful to anyone willing to learn. 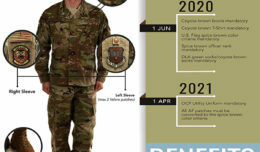 “It is useful for everyone whether you’re a trained warfighter or a civilian, because the SPEAR System can transition to many other styles of fighting,” Reab said. 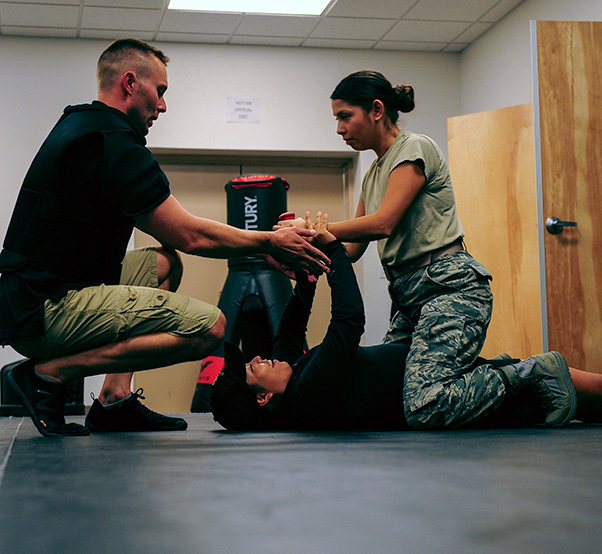 Personal defense is a useful tool that Airmen can learn for both physical and mental fitness, and can be utilized if a hostile situation arose. 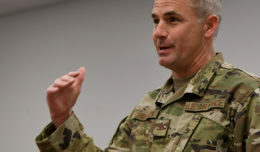 “You have the inherent right of self-protection, having that skill, having the ability to protect yourself is vital to confidence and survival,” Reab said. Staff Sgt. Seth Reab, 355th Operations Support Squadron Survival, Evasion, Resistance and Escape noncommissioned officer in charge, provides instruction to Airman 1st Class Ernest Moreno, 923rd Aircraft Maintenance Squadron HH-60G avionics specialist at Davis-Monthan Air Force Base, Ariz., Sept. 28, 2017. Self-defense is a major component of support provided by SERE specialists.